Budgewoi Holiday Park has it all; caravans, tents, cabins and semi- permanent and permanent sites. 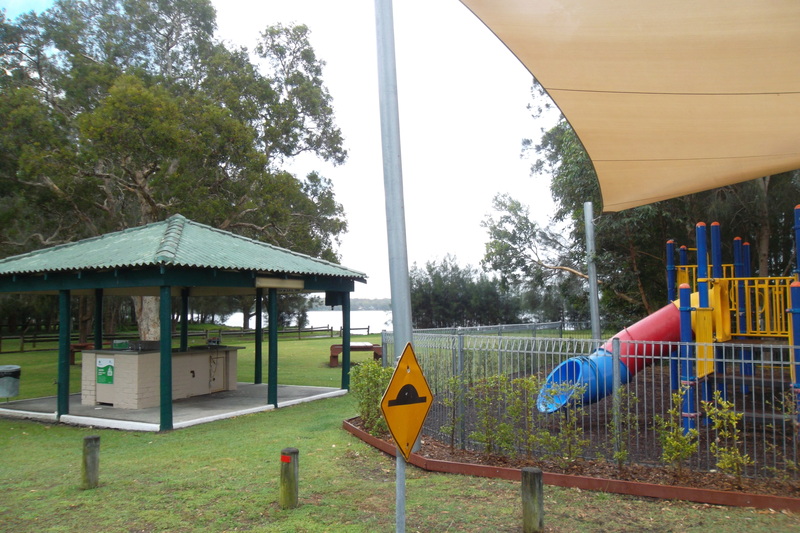 This park caters for all ages. 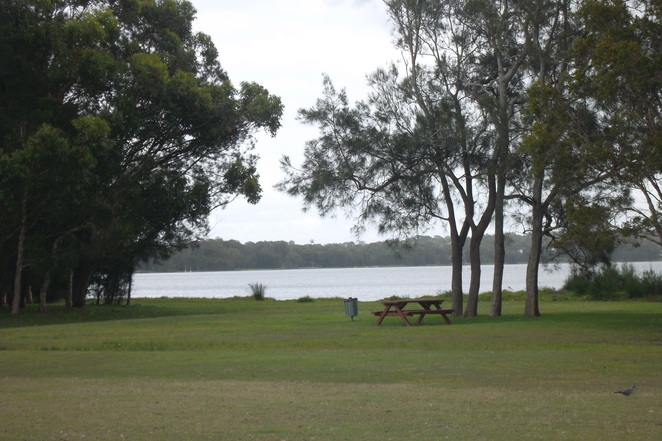 It is a great spot for a quick weekend away by the shores of Lake Munmorah in Budgewoi. 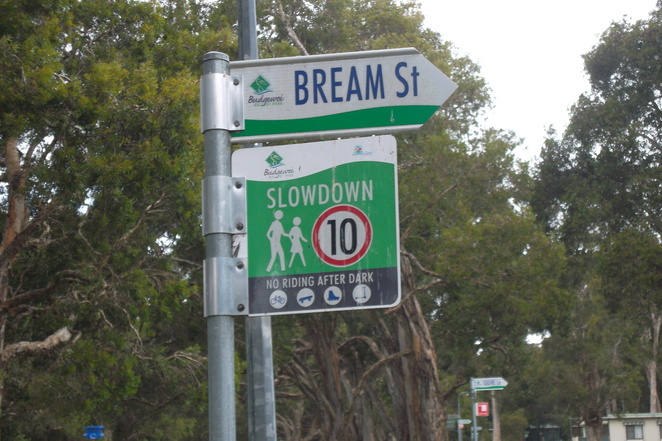 It is a good size park with a sense of humour; all their streets are named after fish. 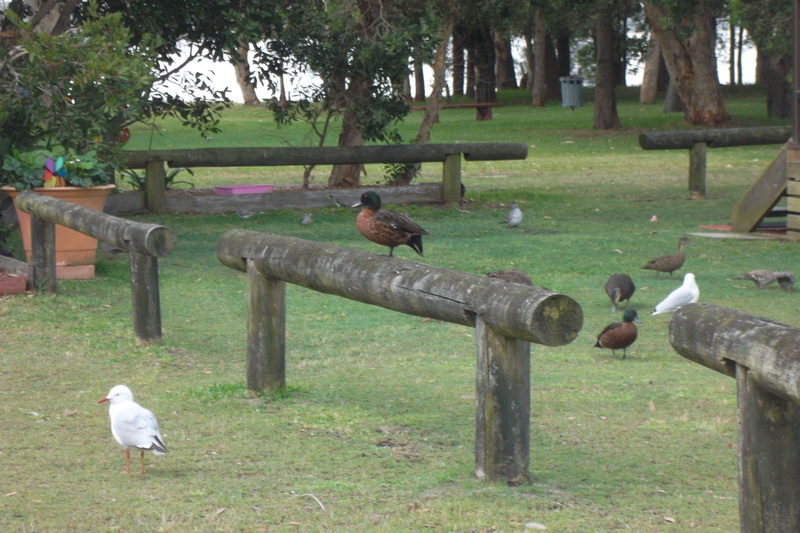 We stayed at Trout Street, adjoining a lot with wonderful lakeside views on Sharks Row. 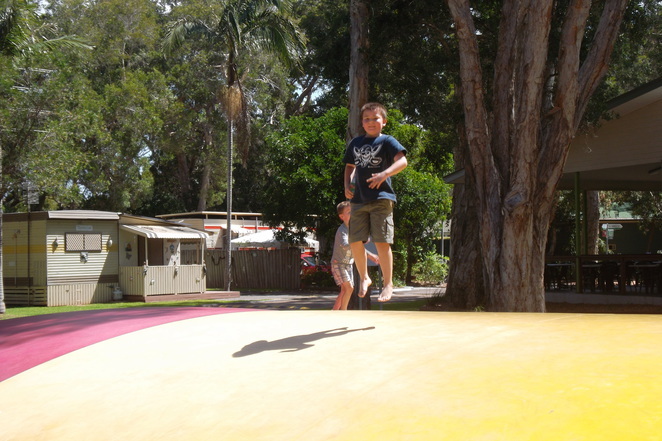 The massive jumping pillow was definitely a huge hit with the children and adults. This is located in the centre of the park, near the amenity block and catering area. The jumping pillow is inflated and deflated each day. 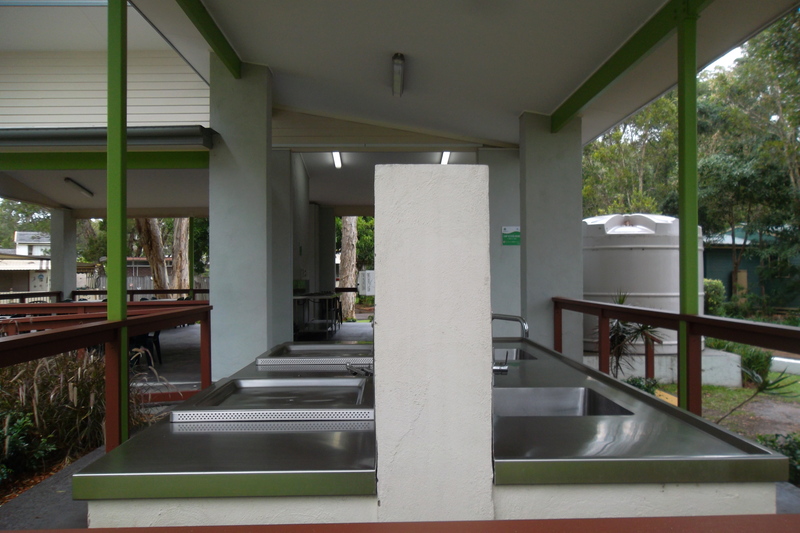 BBQ and catering facilities along with plenty of amenities spread out through the holiday park. 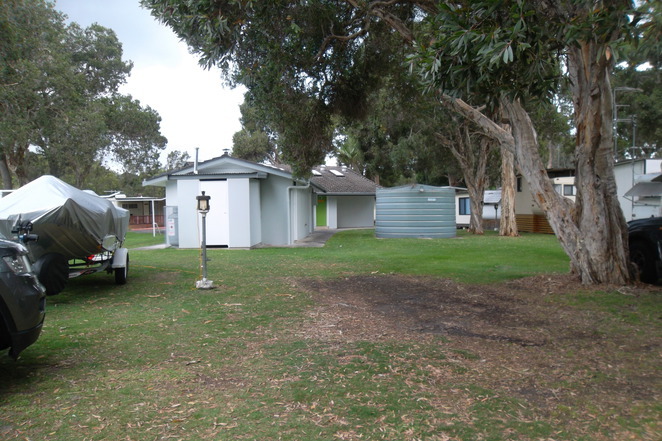 The bathrooms are pristine; a bathtub is available for kids who don't like showers, plus there are laundry facilities. They also have a public phone within the park. Fishing, bike riding, walking or just relax - this area of Budgewoi has it all, with wonderful lakeside views. 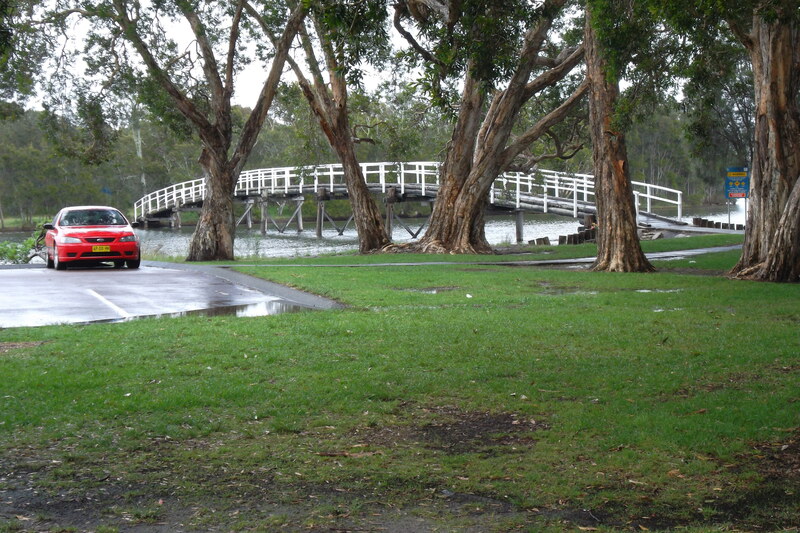 There is a lovely old bridge crossing the river at the office end of the park area. It is a great picnic area and popular fishing spot, which attracts plenty of visitors. 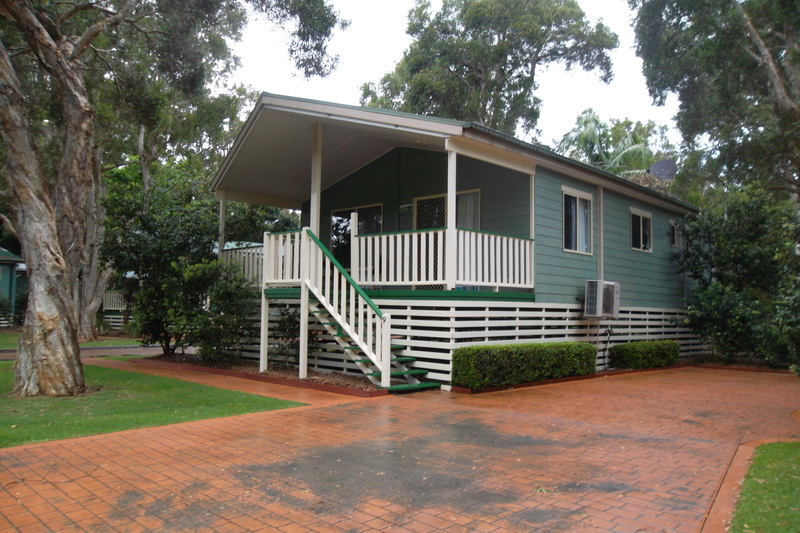 To be honest I'm more of a bush camping person and love my campfires, but I loved Budgewoi Holiday Park and will be returning in the future for a quick getaway. The local shops, restaurants and bowling club are all within walking distance. Animals are welcome as well.